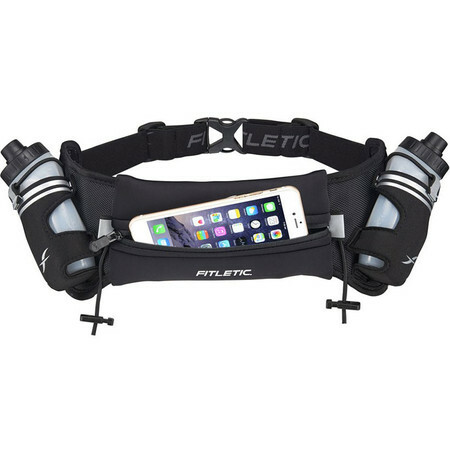 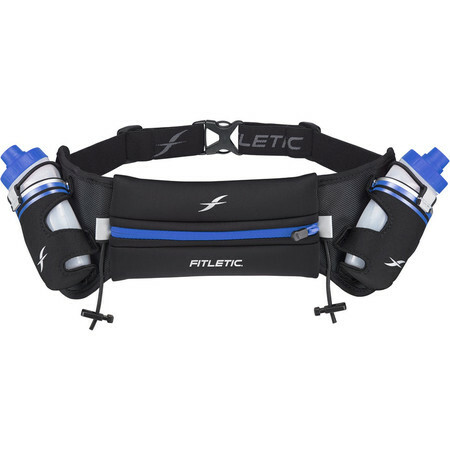 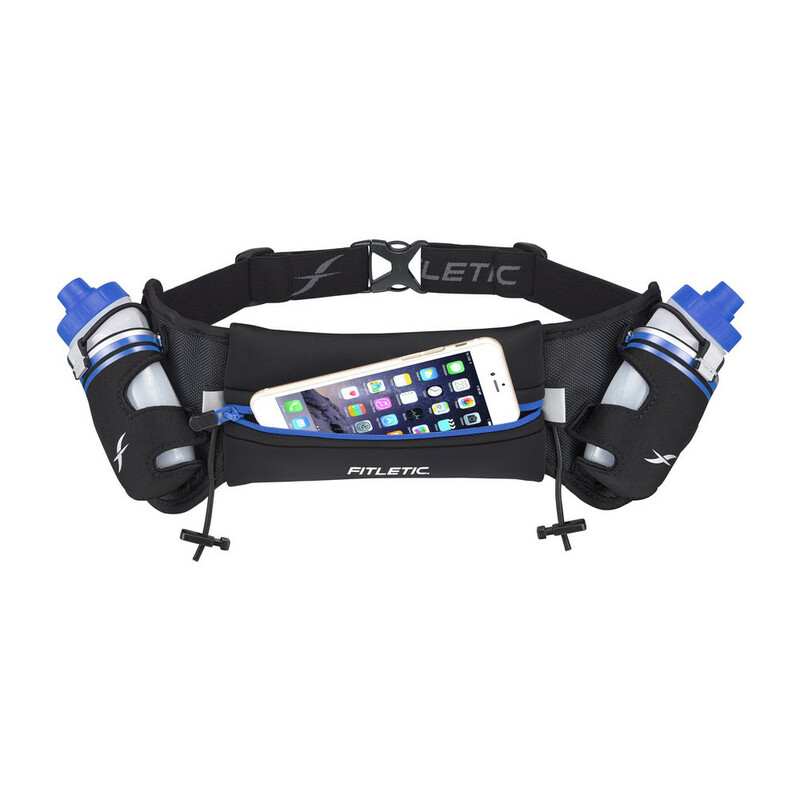 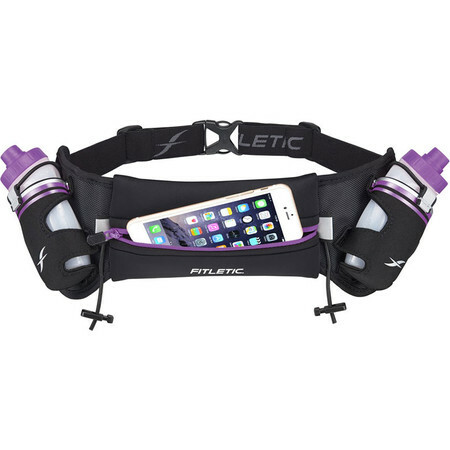 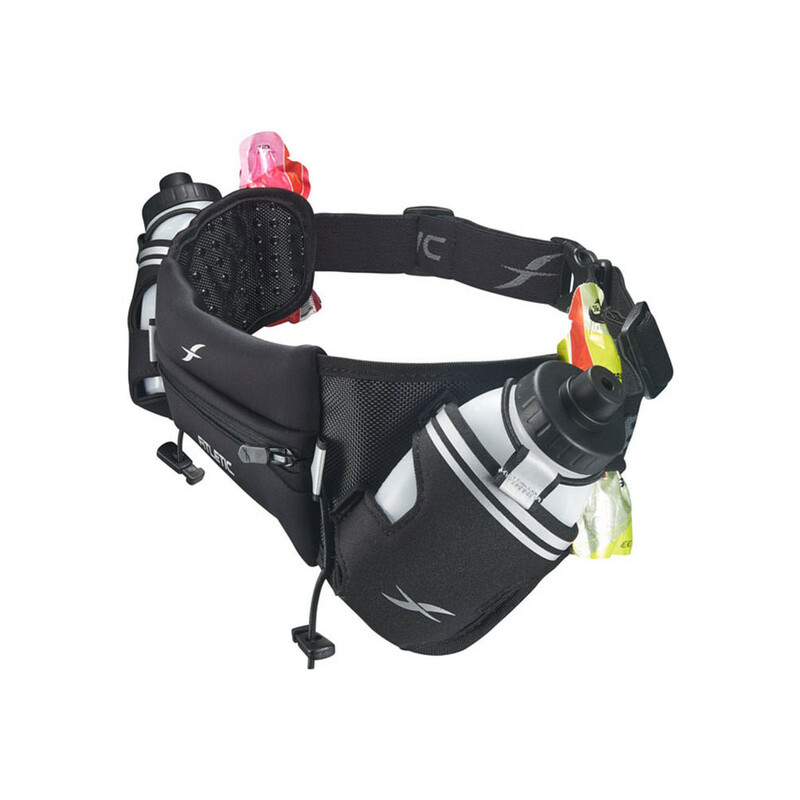 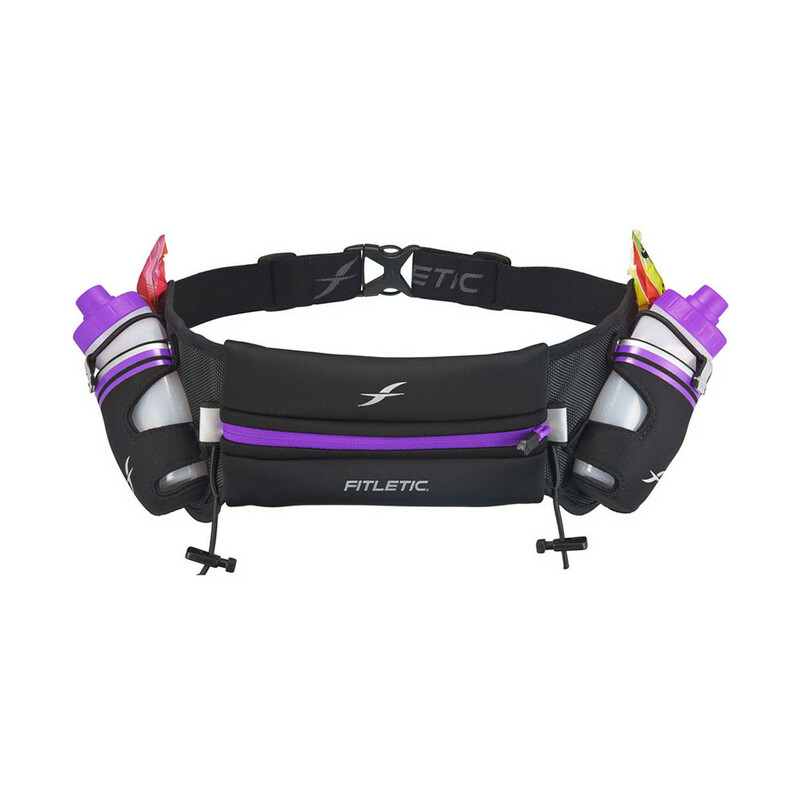 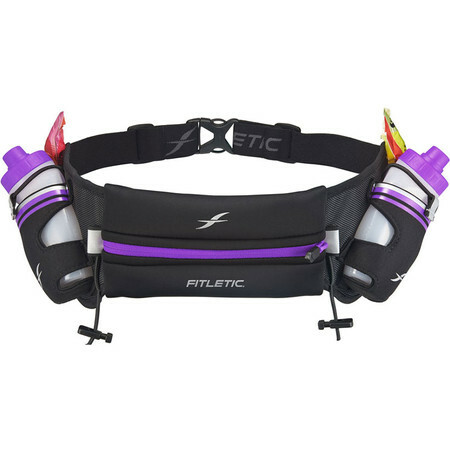 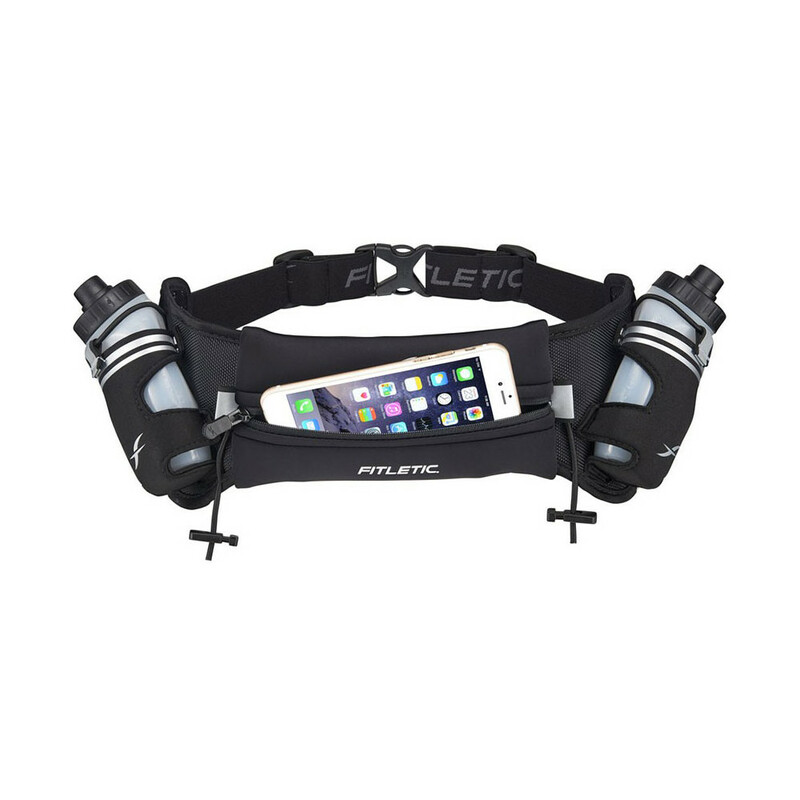 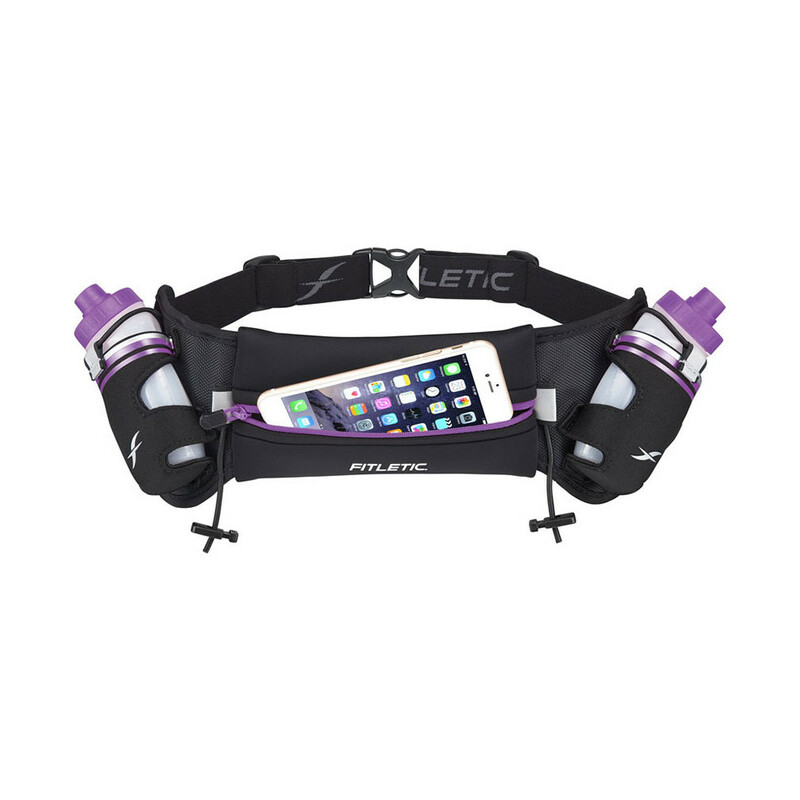 A hydration belt with a bigger volume capacity than the Fitletic 12oz belt. 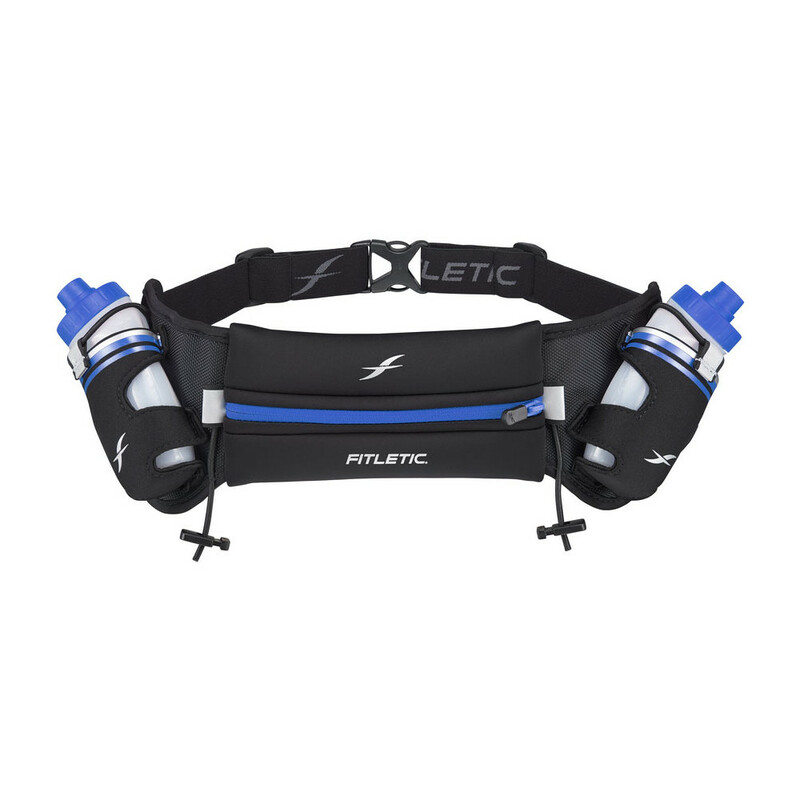 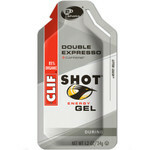 Same ergonomic design that fits comfortably and eliminates bounce. 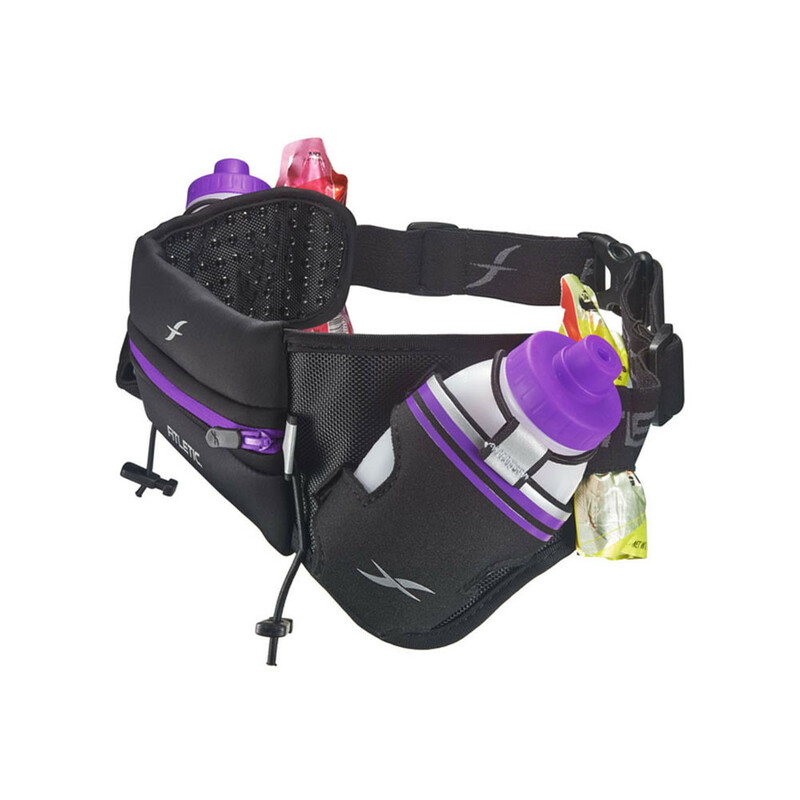 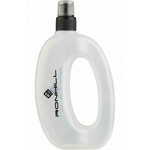 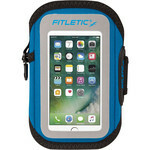 Two 8oz BPA free bottles and a neoprene water resistant pouch for any size phone. 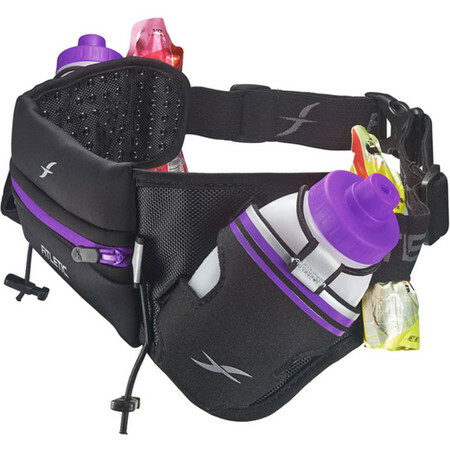 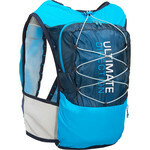 Also contains two gel loops, toggles for race number and inner pocket to hold ID and credit cards.